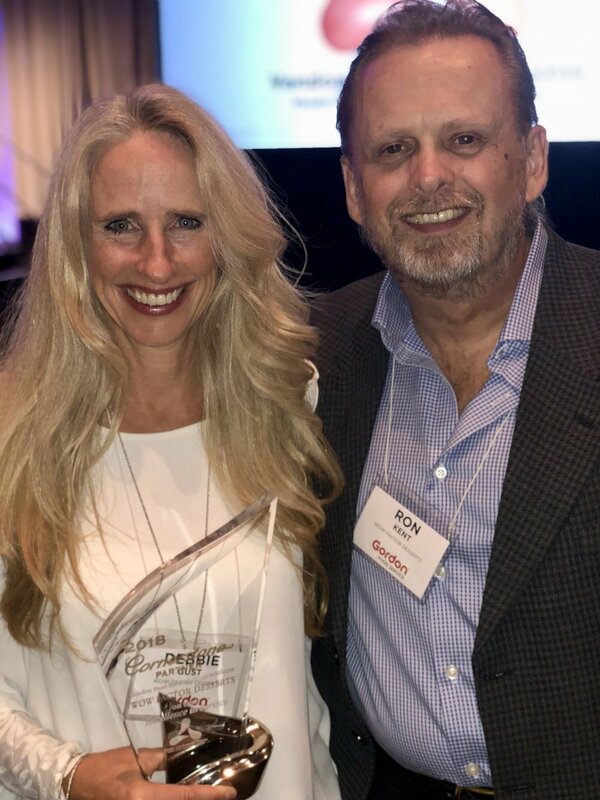 We are the recipients of Gordon Food Service’s 2018 North American Cornerstone Partner Award. This is a very exciting award for WOW! Factor Desserts that reflects our hard work and excellent service in our industry. “I am very pleased to announce the appointment of Brenda Palsson to the position of Western Canada/USA Sales Manager here at WOW! Factor Desserts. Brenda will continue to serve in the capacity of Manitoba Sales Representative as well. She will be replacing Lise Lietz who has made the decision to be a full time Mom to her son Erich. Brenda was the first Direct Sales Representative hired by WOW! Factor when we transitioned our western sales model from broker representation to WOW! dedicated representatives in the summer of 2012. Prior to that she represented our line for a number of years as a broker rep based in Winnipeg. I’m really pleased to be promoting Brenda to this role, she has a proven track record of explosive sales growth in the steady but modest Manitoba market; and has represented our company with grace and integrity throughout her career. Wow... We are both honoured and humbled to win the Frozen Bakery Dessert Award for 2017. "...This year's winner were actually above 100% on fill rate, because on at least 2 occasions, Christmas Eve and New Year’s Eve, they stepped up when we need them most. We had customers looking for products because they had sold out already, and because it wasn’t their delivery day, we couldn’t get product to them in time. This vendor took it upon themselves to send out their own trucks to make deliveries to our customers so that everyone could enjoy the holiday season. This is the type of vendor partner that we love to work with. They are registered with GS1 and are ECCNet and FS3 certified. Why is this important? Because it means that product information is readily available to our sales team, so that they are armed with the knowledge needed to sell your products to our customers. I will add that they also set themselves apart from their competition by offering FREE custom dessert menus for our customers along with recently switching from having broker representation to going in-house." Thank you Dan for the kind words and thank you to Flanigan's for recognizing our team for their effort, excellent customer service, and amazing follow-through. Check out our ad! WOW! Factor Desserts featured in Sysco Healthcare and Hospitality's most recent "Nourish" Magazine, back page. Come visit our booth and meet our Sales Team. Sample new items and get your hands on our 2018 brochure! We look forward to seeing you! From left to right: Mandy, Sean, Chantal, Ron, Jackie WOW! WOW! launches 3 new Spring Desserts! WOW! is excited to launch 3 new desserts that fit in our 'Cake' category. A Baklava Cake, an Italian Cream Cake, and our Strawberry Blonde Cake. Did I say WOW?! These are seriously delicious! Ask your rep to sample some today! WOW! now has Coast-to-Coast Sales Representation! We are extremely proud to announce our new, fully dedicated, WOW! Factor Desserts Sales Team in the East bringing about a consistent sales strategy nation wide. Please visit the 'About/Meet our Team' section of our website to read bio's and to get familiar with our new WOW! Faces. Of special mention is Jacqueline Flowers who was recently appointed to the position of Eastern Canadian/USA Sales Manager effective January 1, 2018. She will be managing our group in the East while Lise Lietz, Western Canadian/USA Sales Manager will continue to manage our team in the West. While Lise is on Maternity leave, Colin Ruttle has assumed Lise's role along with his General Manager duties. WOW! Factor Desserts has been proud to support relief efforts for Hurricane Harvey coordinated by Kelly Talbot, wife of Oilers goalie Cam Talbot. Aside from being a drop off location, WOW! has also raised over $2,000 towards this relief effort. Congratulations! So proud of Gerrit Doruiter, WOW! Factor Desserts Management Consultant, Advisor, and dear friend of ours here at WOW! Congratulations on being honoured for years of Outstanding Service and Dedication to the Baking Industry by the Southern Alberta Bakers Association. Well deserved.